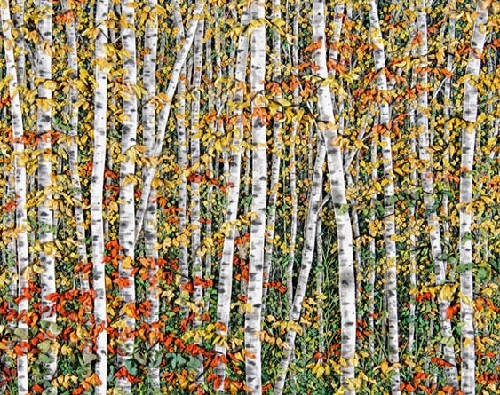 Hand embroidery by Martha Fieber at first glance may look like an oil painting. But if you come closer, you will see the thin stitches of detailed embroidery. Sitting in her living room Martha Fieber turns strands of ribbons and threads into a forest scene. She uses the lake and forest outside their Schoolcraft County home for inspiration in her artwork. American self-taught artist of applied art and former engineer Martha Fieber creates fiber landscape art that she sells at art shows and galleries for her business, Landscape in Thread. Her husband Leonard constructs unique pieces of furniture made from wood cut by beavers for his business Beawer Chew Furniture. Their artwork evolved out of a need to make a living after leaving their job in 1999 in Wisconsin and returning to the Upper Peninsula to be near Martha’s family. 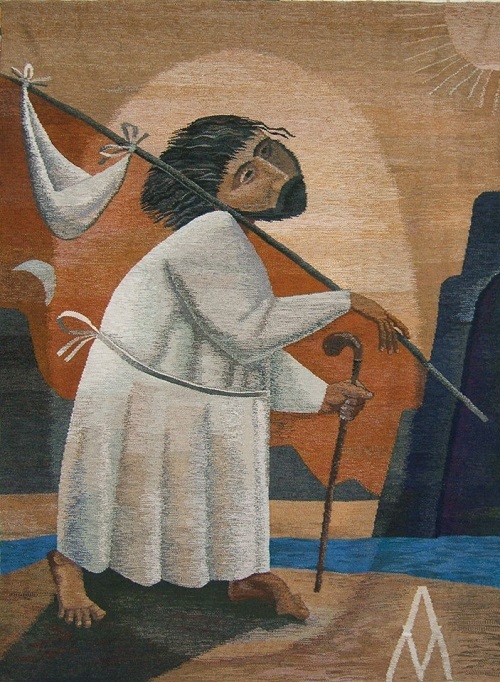 Wool painting by Lyubov Khitkova. 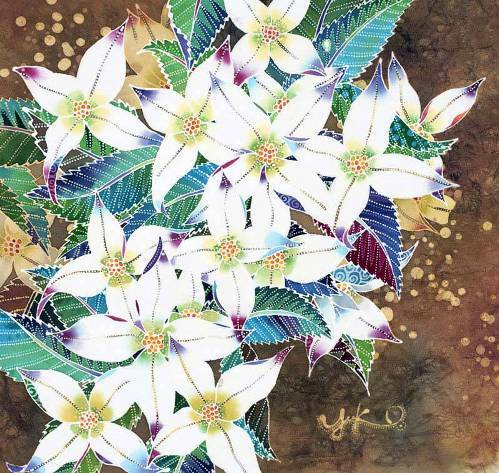 Talented Russian artist of applied art Lyubov Khitkova was born in the old city of Rybinsk. She graduated from Graphic Department of the Vladimir State Pedagogical Institute. Lyubov Khitkova worked with tapestry, batik, Vladimir sewing. 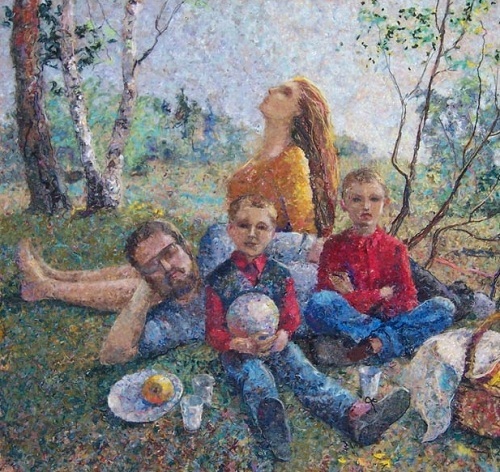 In the gallery of Lyubov’s art works are also paintings, illustrations, watercolors. After the Institute she taught fine art and sketching. 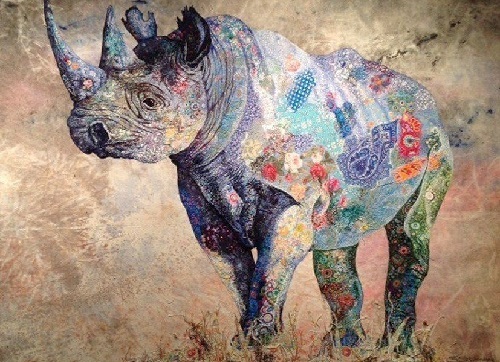 Since 2005 she has worked and exhibited in the artist’s technique of wool paintings, mosaic of wool, she calls it “fredpoint”. Lyubov Khitkova’s artworks are in private collections in Russia, Europe, Middle East, and Australia. My first glance when scrolling Facebook timeline made me think that it’s a beautiful photograph of a bird. 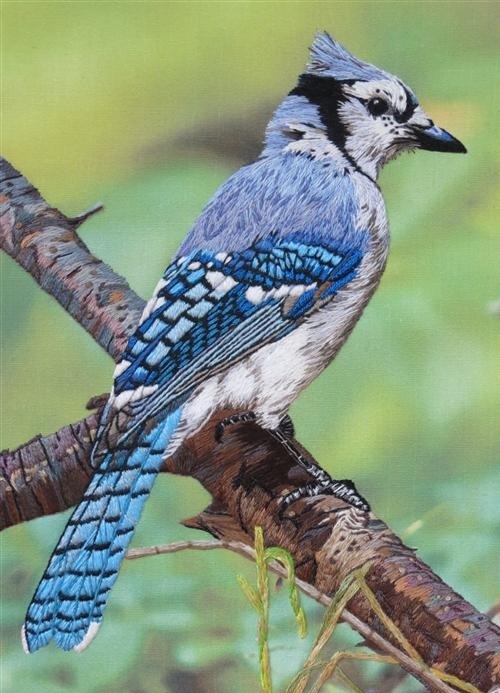 This colorful bird is in fact a realistic stitch work by a self-taught artist of applied art Elza. Talented craftswoman Elza shares the images of her embroidery on Facebook page. 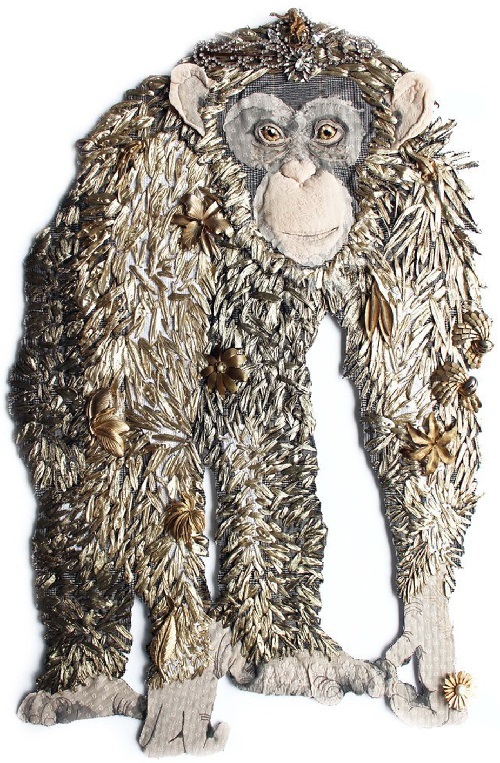 Elza lives in Cape Town, South Africa, engaged in animalistic stitch. Realistic embroidery by Elza is not for sale, she is just enjoying her hobby. She has taught herself mostly from books an magazines and then applied that knowledge plus her own ideas to her embroidery.